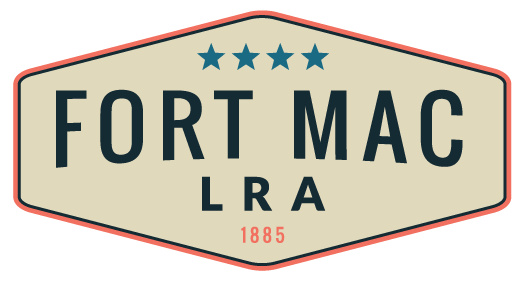 Fort Mac LRA is incredibly honored and grateful to our amazing community. 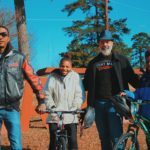 Through your more than $800 donations, the first-ever Fort Mac Give Back on December 23rdraised enough to purchase helmets to accompany each of the 30 bikes ARTlanta Gallery collected to give to community children. 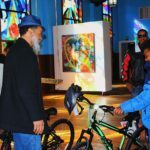 Spearheaded by ARTlanta, the event attracted 50 neighborhood children who lined up in excitement as early as 8 a.m. – two hours before the event began! 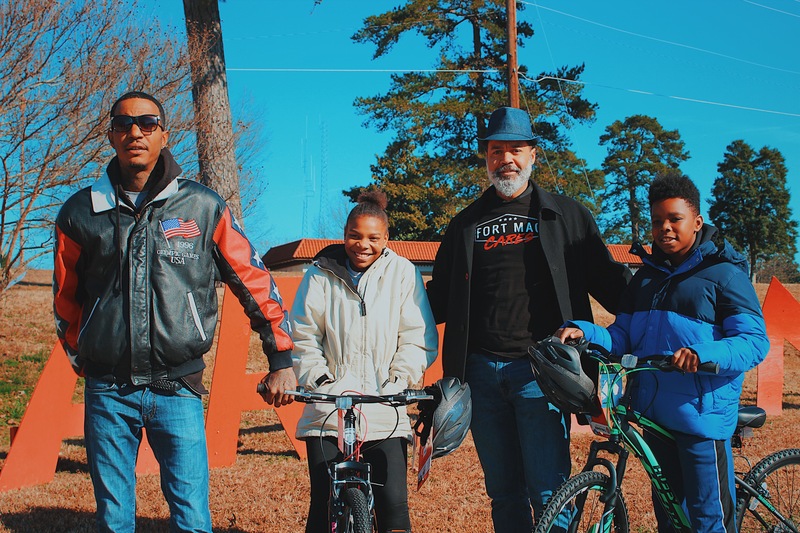 We are tremendously grateful to all who contributed to help make this a success, including our partners Bearings Bikes Shop, who donated the majority of the bikes, ARTlanta, Macauley Investments, and the Southwest Atlanta Partnership. As we continue to breathe new life into the Fort Mac redevelopment and surrounding community, seeing dozens of children riding their new bikes for the first time in the Fort Mac Mile area is one of the most inspiring visions we have seen yet. Thanks again to the many community members who attended the event and let us know how surprised you are to see the progress we’re making! 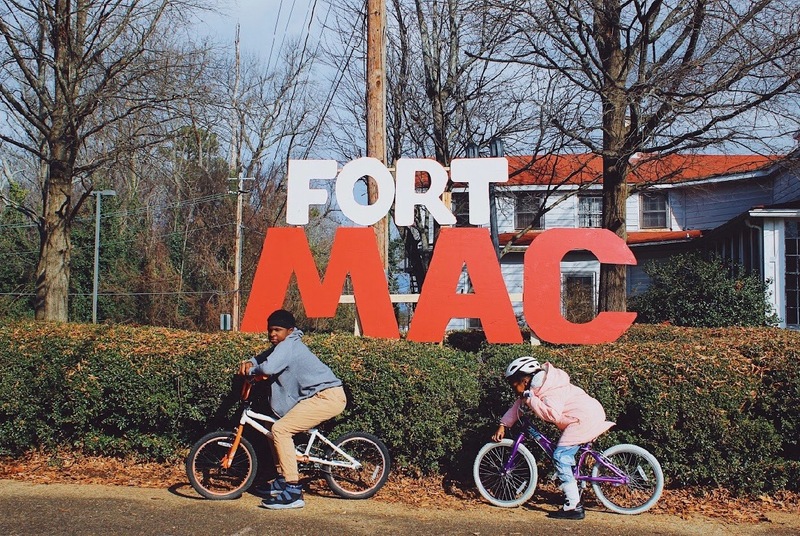 Update: In January, Fort Mac LRA and ARTlanta gifted the last of two bikes from the ‘Fort Mac Give Back’ event. On the day of the event, the two kids pictured gave their bikes to younger children who were upset that they weren’t able to receive bikes. 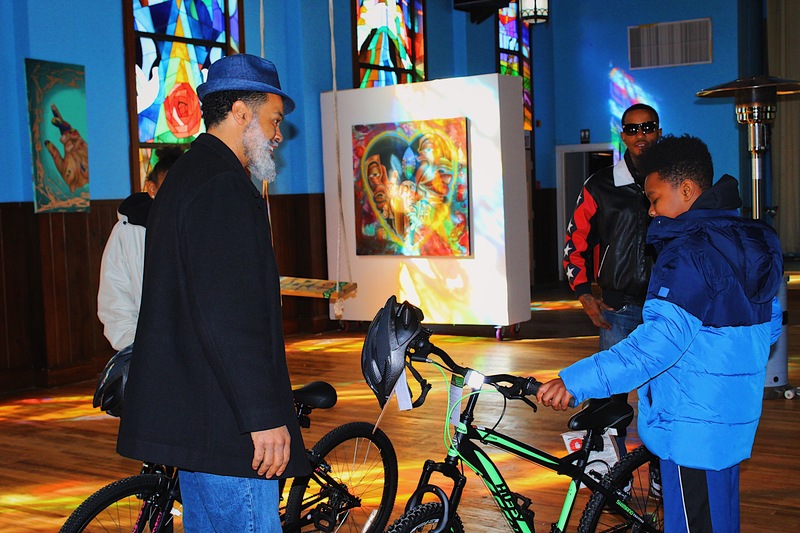 For their wonderful acts of kindness, they were promised to be provided bikes following the winter break. 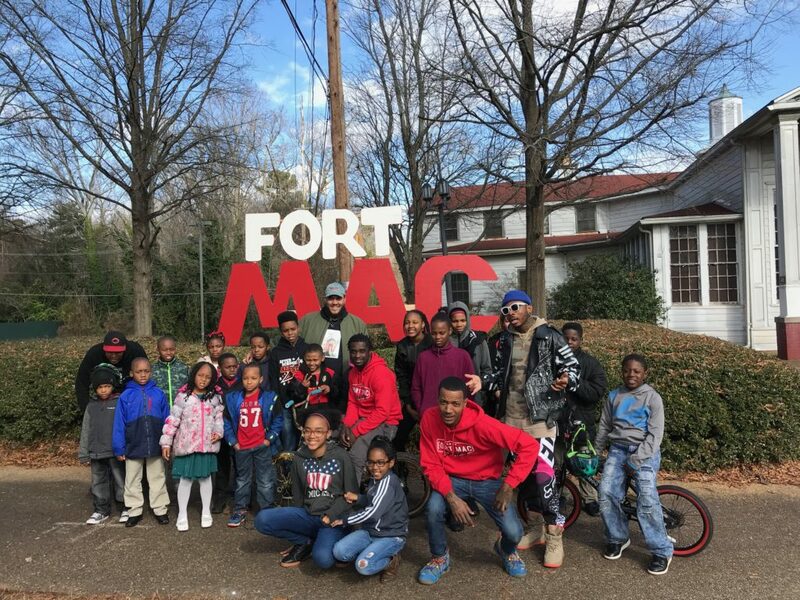 They were patient and Fort Mac and ARTlanta delivered two brand new bikes to these generous children.